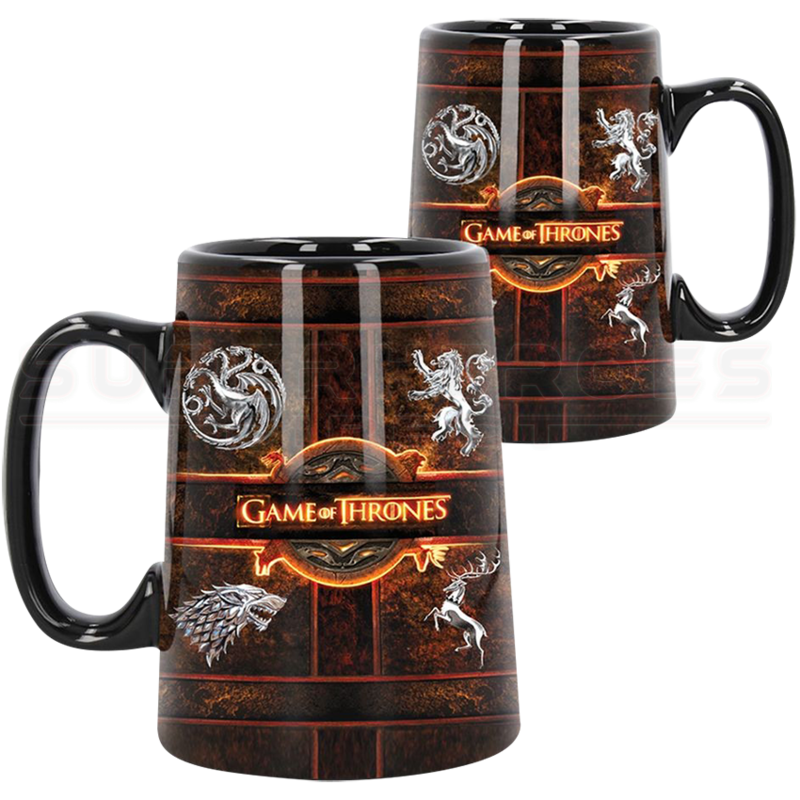 The great houses of Westeros are all here on the Game of Thrones Rustic Sigil Tankard - Targaryen, Lannister, Stark, and Baratheon alike, all on the front and back in metallic silver. 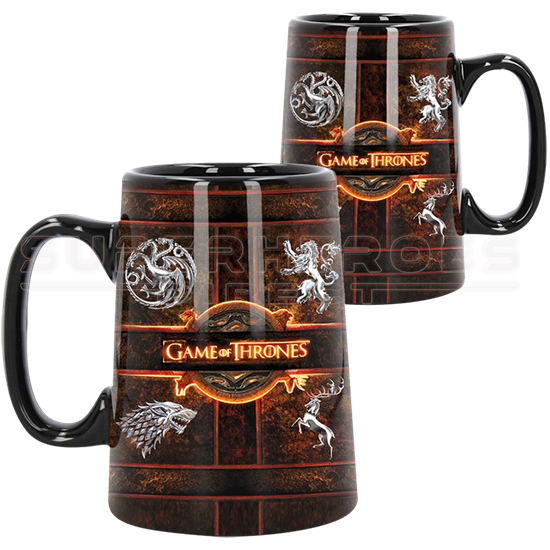 Made of high quality, food safe ceramic, this officially licensed Game of Thrones tankard has the look of red iron bands around its height and width, the Game of Thrones logo at the center outlined in bright yellow. A great Game of Thrones drinkware option and collectible for any fan, this ceramic tankard comes in a box printed with a Game of Thrones map graphic.